I joined 4-H when my eldest daughter was 9 years old. At the time, I thought I was simply taking my daughter to some meetings, thinking she might meet some other kids. Little did I know that when my child joined 4-H, it meant that I, too, was joining 4-H. Within a year, all three of my children were heavily involved in 4-H. During the last seven years, I have become a project leader, a club leader, and participated in 4-H governance at the county and state level. 4-H provides a place where kids can discover their spark. A spark is something that you feel passionate about, something that gets you out of bed in the morning, something that nobody has to tell you to do. I have seen countless kids in 4-H connect with their spark in a way that they would be unable to do anywhere else. Some of these kids came into 4-H already knowing their passion, others discovered their passion through their 4-H project work. I have seen countless other kids enjoy ‘dabbling’ in many projects. They enjoy the learning process and the social interaction. For them, 4-H provides a space where they can be exposed to hands-on learning that they would not otherwise be exposed to. They are generalists who expand their knowledge on many fronts. Although they may not go deeply into any project work, they keep coming back to 4-H year after year. 4-H is a youth development program of the nation’s Cooperative Extension system and the United States Department of Agriculture (USDA). In Marin County, we have twelve clubs, eight of which are general youth development 4-H clubs and four of which are focused on specific project areas. Members may gain knowledge in a variety of project areas that reflect the heritage of the program. Projects include animal husbandry for beef cows, dairy cows, goats, poultry and rabbits, along with cooking and sewing which can be found in our Indian Valley, Nicasio, Pacheco Valley, Pt. Reyes/Olema, San Rafael, Tamalpais, Tomales and Tri Valley clubs. As 4-H grows into the 21st century, these clubs help bridge the educational attainment gaps in citizenship and science literacy with projects in leadership skills, community service, nutrition, vet science and even robotics. In all facets, the hand on “learn by doing” method creates a deeper understanding and enjoyment of the topic. Some Marin County 4-H clubs focus on a specific project area. Two clubs, H-Lane Vaqueros and Morning Sun 4-H, focus on horseback riding, horse training and equine husbandry. Our Marksmanship Club provides members the opportunity to develop focus, discipline and concentration. In all clubs, members may choose to explore different projects and experiences each year to gain a breadth of experiences and skills, or they may choose to repeat projects year after year, deepening their knowledge and mastery. 4-H members grow a great deal from their projects and activities throughout the year, but summer seems to be the time when they grow the most. All that fresh air and warm sunshine combined with the best activities of the year make for great learning! 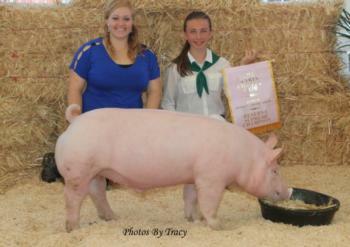 This past summer, Marin 4-H members participated in many ways at the Marin County Fair. They showed animals, entered exhibits, and staffed the "fur and feather’s" tent with rabbit and poultry exhibits by 4-H members, all while educating and entertaining the public about agriculture, science, and technology. Members walked away with high awards for their knowledge, animal husbandry and craftsmanship. Later, 4-Hers joined together for a week in the woods at the Las Posadas State Forest for 4-H Camp. 4-H Camp brings our young people into nature to connect with the environment, have new experiences and learn from each other. 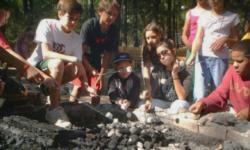 Campers take part in nature drawing, hiking, forestry, star gazing and develop an appreciation for the natural world. For most Marin 4-H members, this amazing week is the highlight of the 4-H year! For information about the 4-H program, visit www.ca4H.org.